By 1987, I was reaching my goal of becoming a professional stop-motion animator; however, the work was inconsistent due to the typical "per project" hiring practices of the movie industry. To remain employed, I continued to take on sculpting and model-making gigs. Sometimes the two professions were both needed on the same production, a situation which worked out very well. 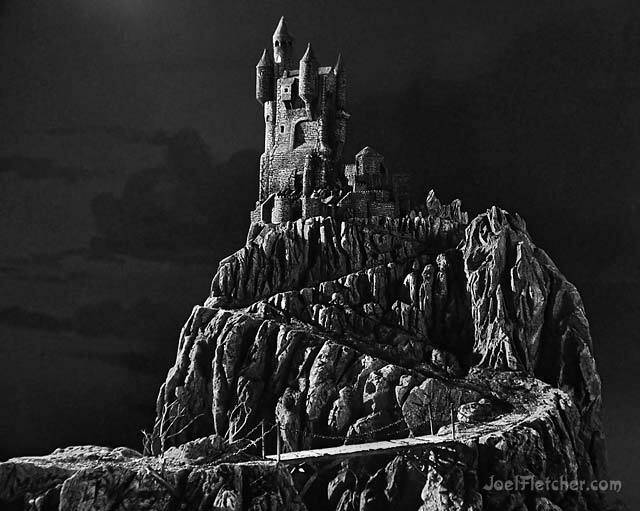 This spooky castle was created for a 1986 Budweiser print advertisement. Anton Tremblay designed and supervised the project, while Christopher Halsted and I were sculptors. The main material we used for the project's fabrication was green foam, aka "green death" in the model-making industry. The process of carving the foam caused the release of gritty, nasty particles which were very hazardous to breathe and tended to cling to our clothing. The only real advantage to using the material was the fact that it was fine-grained and easy to carve. Typically we would don disposable coveralls and use a respirator or a dust mask to protect our health while sculpting the foam. The finished model, which I photographed on stage for my records, stood about four feet high. In the actual final ad, a couple of people were composited in, positioned by the bridge and looking up at the castle (without the benefit of Photoshop, which had not been invented yet). During my boyhood years, my favorite hobby was building plastic model kits of monsters, heroes, animals, cars, science replicas, space ships, and occasionally airplanes. Many of my skills came from that disciplined pastime of working patiently with paints and glues, cutting with blades, and filling and sanding seams, to achieve the goal of creating a perfect miniature. My assembling of model kits brought an intimate understanding of how things are constructed and how they function in the real world - everything from human anatomy to automobile engines. 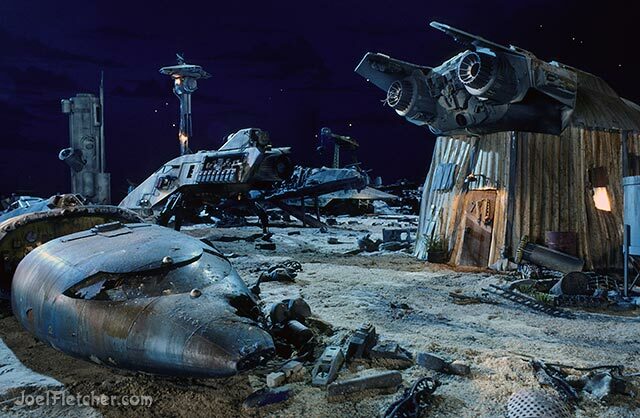 I was served well by those skills when I later began to create my hand-made independent stop-motion films and eventually worked professionally as a model maker and prop builder for the motion picture and advertising industries. My first real model-making gig was a job at Introvision in 1985, where I worked on a pilot project called Danger Quest under the supervision of Gene Rizzardi. In collaboration with model maker Zuzana Swansea, I was given the task of fabricating a mountain wall landscape with a cave-like entrance. Our technique entailed the carving of the basic shapes out of styrofoam, then etching the foam by squirting it with acetone, resulting in a lunar rock appearance. The acetone/foam reaction released some toxic gasses, requiring us to wear protective garments and respirators. From the start, I experienced some of the possible hazards in the world of professional model making! 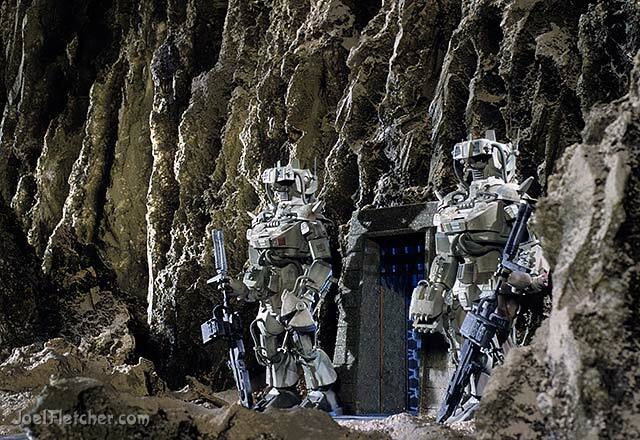 Other model makers built the cool robot guards which were added to the scene after we completed the miniature background set. After the setup had been lit on stage by the camera crew, I was able to photograph the full scene in 3-D for my personal collection. Feature film productions traditionally hire a "Unit Still Photographer" whose job it is to shoot images for use in the promotion of a movie. Unintentionally and in a very different manner from the norm, I became the primary still photographer for The Nightmare Before Christmas. I was hired to be a character animator for the project; however, I just happened to be an avid 3-D stereo photographer who loved to capture amazing stop-motion setups in 3-D for my private collection. At the point when the movie was nearing completion, Disney publicity decided that they needed some compelling photos to promote the film and, incredibly, no one had been officially assigned to shoot the stills! Their only hope was to make an appeal to the crew for their personal pictures of the production. Surprisingly, they determined my stills were exactly what they needed. The publicity department had no interest in the 3-D aspect; however, the photos worked equally well in standard 2-D format. 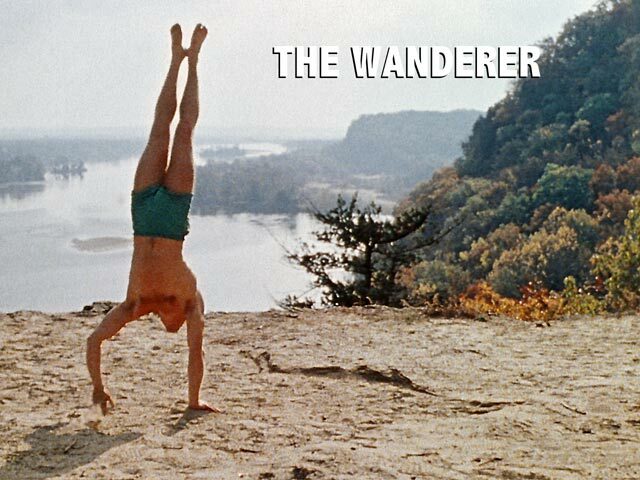 We reached an agreement and my pictures were used in the big pre-release promotional push of the film in 1993. 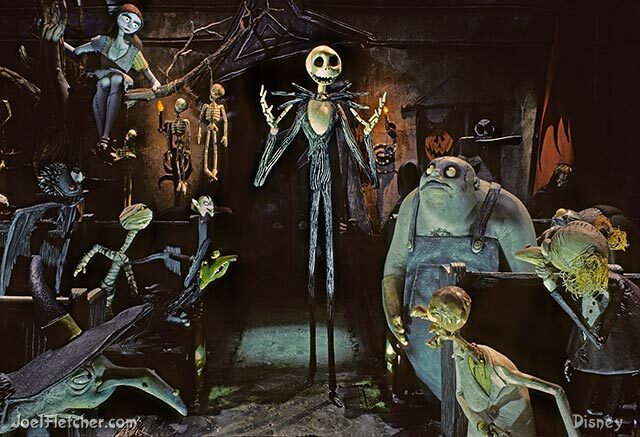 I have to admit that it was highly gratifying to see so many of my photos published in several major magazines and newspapers as part of The Nightmare Before Christmas marketing strategy. The final mandala image - detail from the painting MYSTERIUM. The subject matter of my latest painting, Mysterium, was a major challenge to envision. Creating a portrait of the human psyche, I used symbolic imagery to depict the duality of the mind's conscious and unconscious aspects. 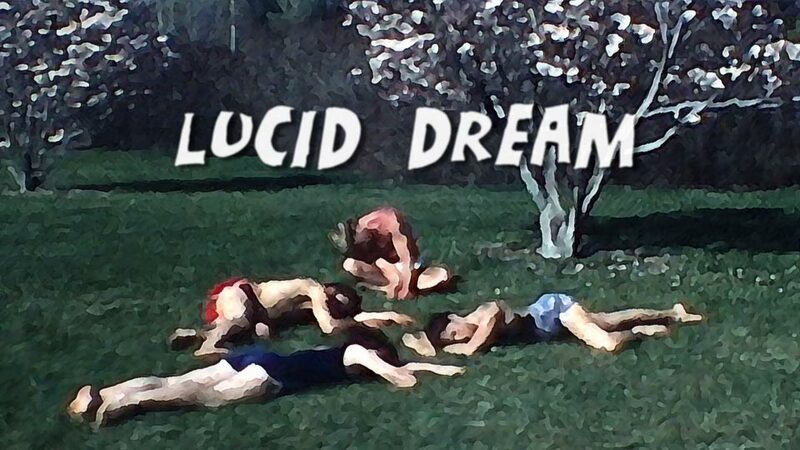 Of particular concern was how to best portray the obscure nature of the unconscious. From the painting's first conception, I imagined a mandala, an image based on concentric rings and long associated with the subconscious mind. Ideally, my mandala should be a dazzling sight that would evoke ecstatic, transcendental, and numinous feelings. That goal, of course, would be nearly impossible to achieve. Normally, I do not create "study" paintings; however, to avoid such a task would be to risk ruining a major work. Creating several mandala studies was imperative in order to proceed with confidence in preparing the final painting. Back in the 16th century, Italian painter Giuseppe Arcimboldo created portraits of people, wonderfully weird as they were constructed of food, plants, animals, and household objects. Four hundred years later, in the 1980's, wine coolers came on the scene and were all the rage in the United States. 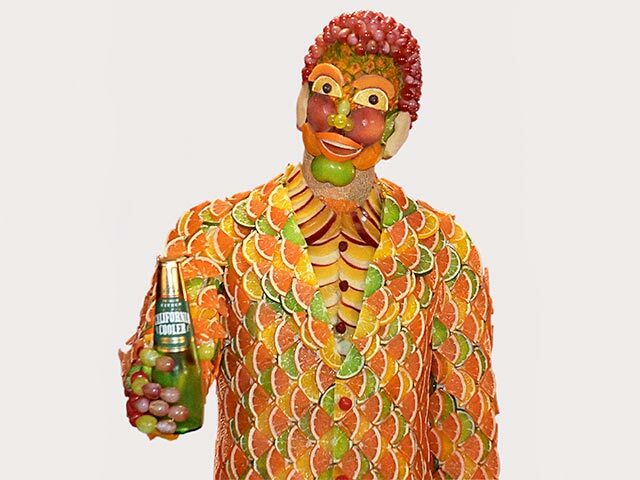 It may seem that these two events, unrelated and centuries apart, have nothing in common; however, in 1988, I was commissioned to bring an Arcimboldo-inspired character to life for a California Cooler advertisement by a company called Limelight. Producer Prudence Fenton and director Stephen R. Johnson sent me on a mission - to construct a man made out of fruit and to animate him via stop-motion. A daunting task indeed! 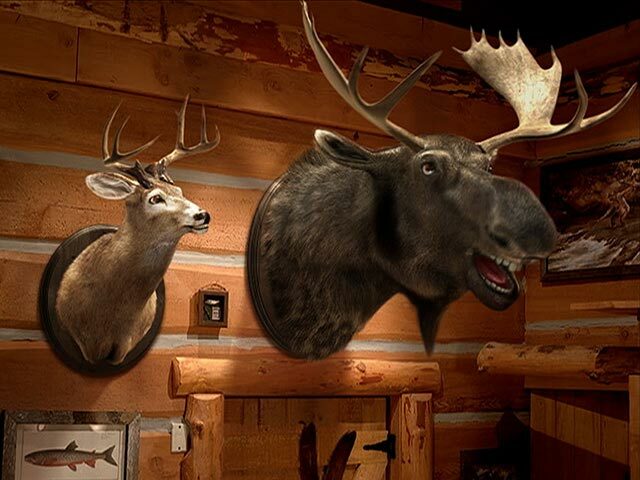 The Canadian Restaurant chain Montana's Cookhouse once had an advertising campaign featuring an unusual comedy team: talking trophy heads of a moose and a deer. I was hired by the visual effects company, Beau Studio, to animate the character performance of these two taxidermic animals. The commercials were very popular and we ultimately made six of them from 2006 through 2009. This project was an aesthetic challenge because it was imperative that the characters be likable and charming; however, the very concept of two hunting trophies being alive and talking is in itself somewhat macabre! This unusual commercial, titled Moving Life Savers, featured hundreds of real Life Savers candies in action. 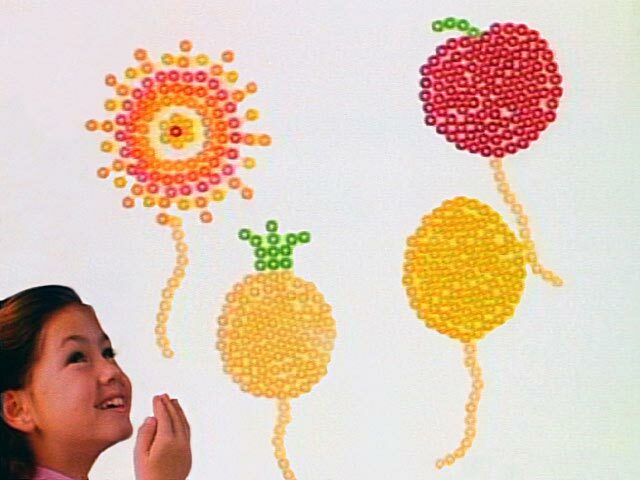 In 1989, I was hired by Limelight, a now-defunct production company, to bring said candies to life via stop-motion animation. The project was a huge challenge, particularly because the desired result required maintaining control of a large number of candies while using the very limited "old-school" technology of the time.